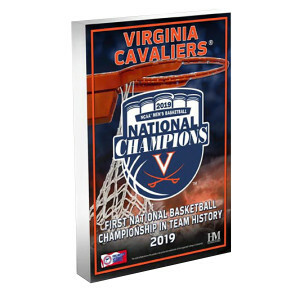 A 4” x 6” acrylic block is printed with custom art using a unique process to commemorate Virginia and their 2019 Men's Basketball National Championship! 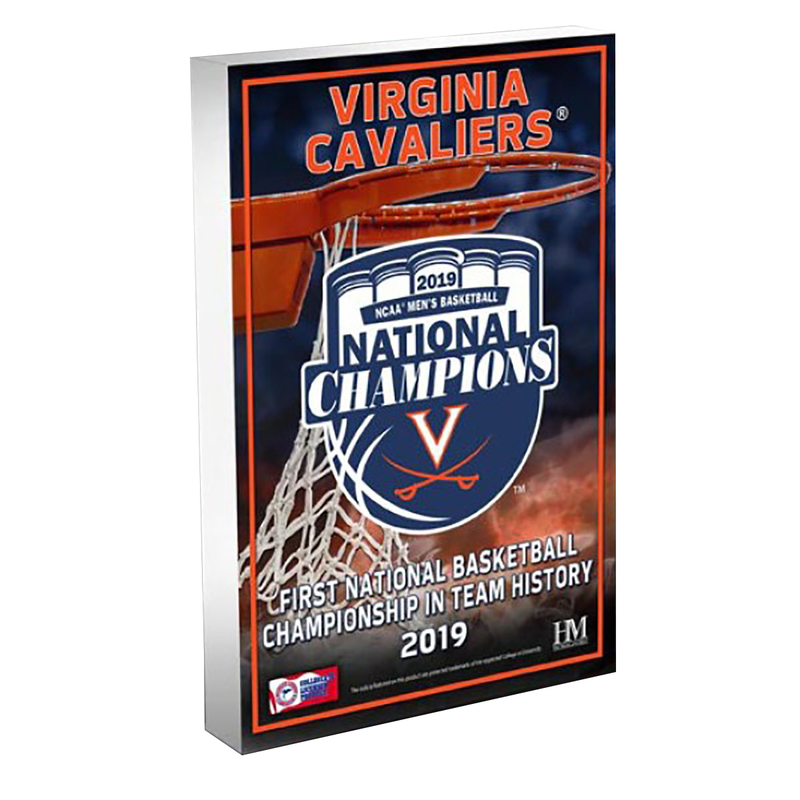 The effect of this process depicting the ceremonial victory of the champions net cutting gives a beautiful 3D impression creating a great conversation piece when displayed on a desk or mantle. Each 3D Art Block is accompanied by a certificate of authenticity and delivered in a gift box. Officially licensed and proudly made in the USA by The Highland Mint.